Candy post number 2. This time some old fashioned hard candies from Claeys Old Fashioned Hard Candies. They’ve been around since 1919 and have had 3 generations of candy makers perfecting their “smooth textured deliciously flavored old-fashioned hard candies”. They are little sugar drop candies, which I more associate with lemon drops than a root beer candy, but why not. They do actually make lemon drops, as well as a host of other flavors. But I only care about the root beer. The little sugar covered egg drop dusted in sugar tastes very similar to your standard root beer barrel. 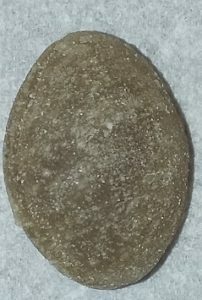 It’s got that generic root beer flavor which is perfectly pleasant when you’re looking for a root beer flavored hard candy. I like this. It’s definitely a higher quality hard candy than most and it’s root beer flavor is spot on. So do I recommend it? 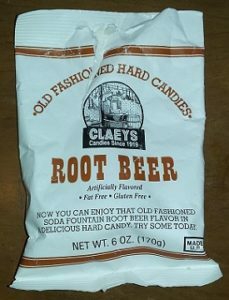 If you’re looking for a root beer hard candy, this will do the trick.